I have been lax in posting about the decorating that went on a couple weeks ago after resurrecting Elvis. So here is an update. There is a corner cupboard in my living room and an old railroad lantern sits on top of it. The lantern came from Dad’s estate and the cupboard came from Mom’s family. Over the years the top was decorated with poinsettias, a fibre optic snowman, and a fiber optic angel. 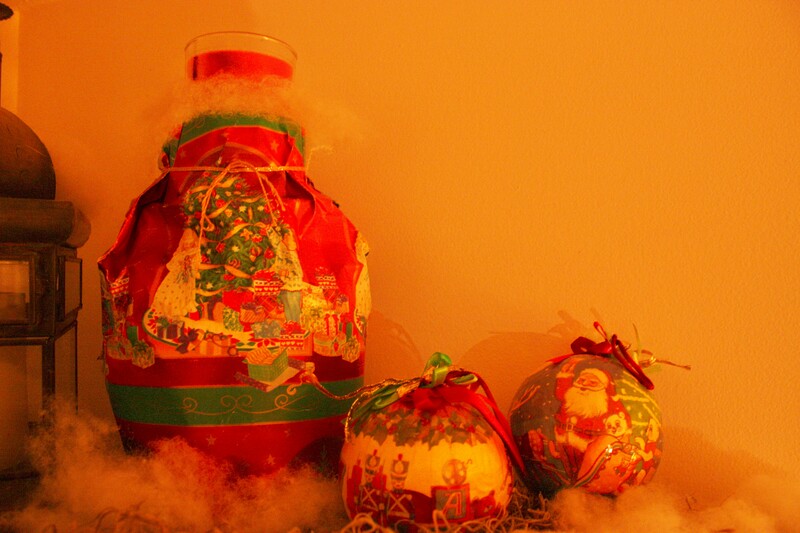 This year’s theme is Rustic Christmas and the lantern became the center of the display. 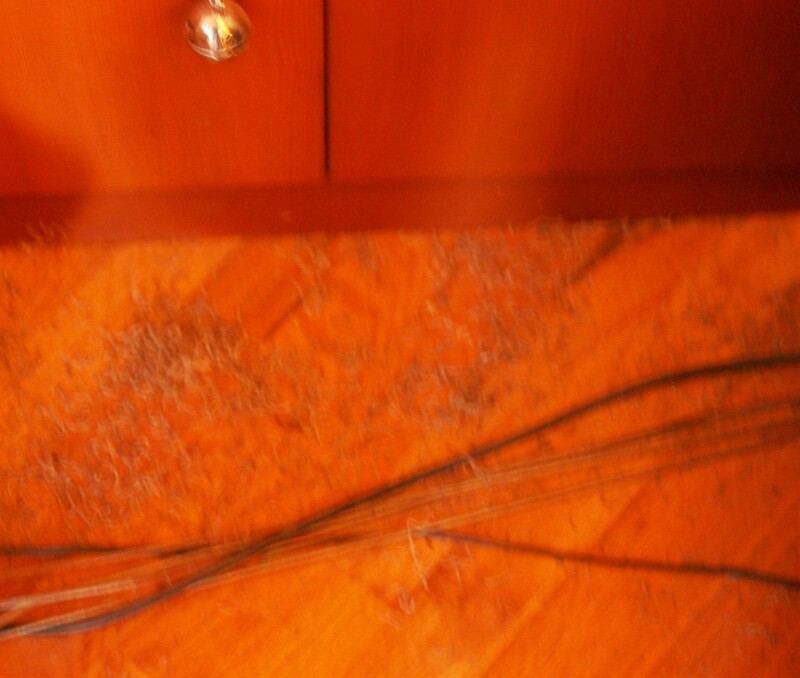 Nothing says rustic like Spanish Moss, also nothing says mess like Spanish Moss. 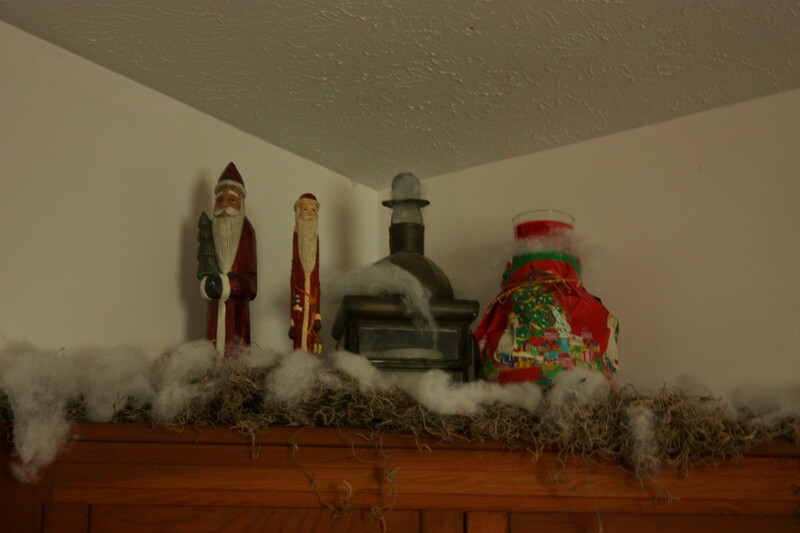 Once I got the Spanish Moss into place on the edge of the corner cupboard, I added in a touch of artificial snow. 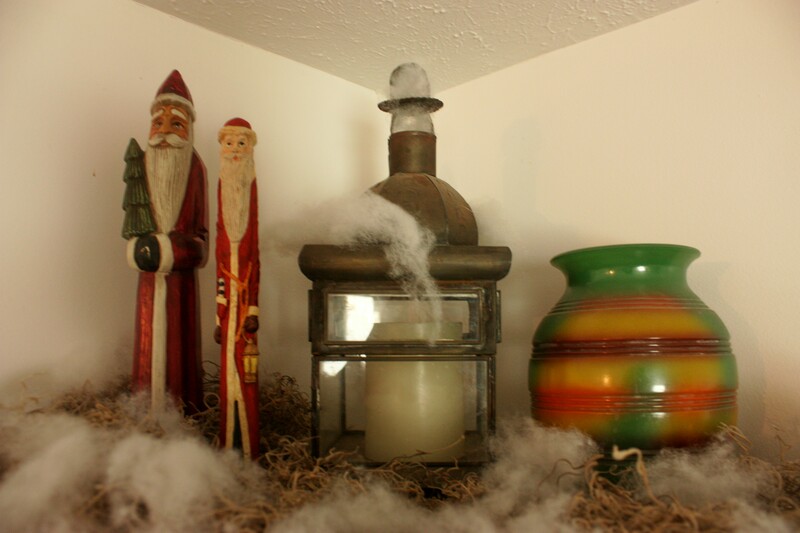 Then added 2 Santa’s I got when Mom cleaned out her basement. I also have a vase of green, yellow, orange with a touch of burgundy next to the lantern. This vase is affectionately known as “Uncle Odie” as it came from his estate. 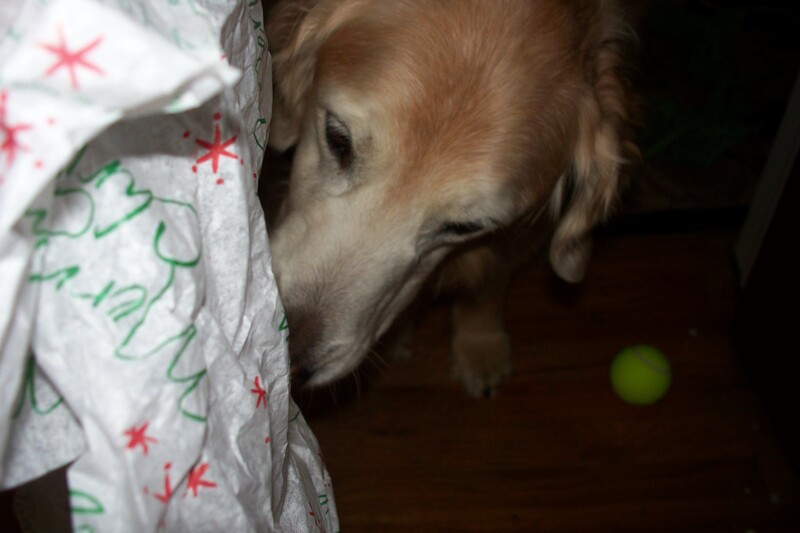 Getting “Uncle Odie” in the Christmas mood required wrapping him in Christmas paper. Then I found a red candle I wanted to put in him but had to figure out how to get it to fit. I found a travel mug and it fits inside “Uncle Odie” with the candle nestled inside the top of the travel mug lid. For the finishing touch I added some ornaments with Christmas scenes I also got from Mom’s house.They bring out the colors in the wrapping paper and go nicely with the Santa’s. Here are pictures of the corner cupboard in all it’s rustic glory. All items are what I had on hand or got from Mom. Nothing was purchased for this project. Also check out a scenic Christmas picture on OgleOhio.com, my photography blog. It twas’ the night before Thanksgiving when all through the house Michele was spinning like the Tazmanian Devil. 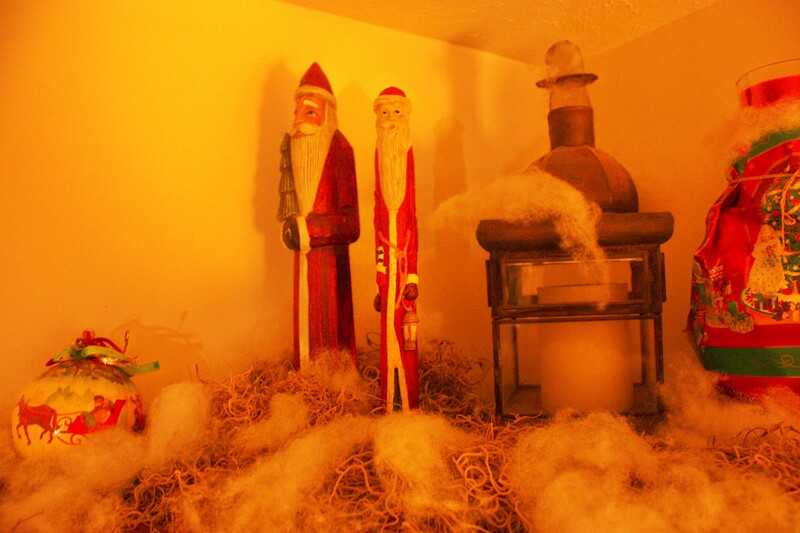 It started when I went to the basement looking for more artificial snow. There were several trash bags filled with various decorations. 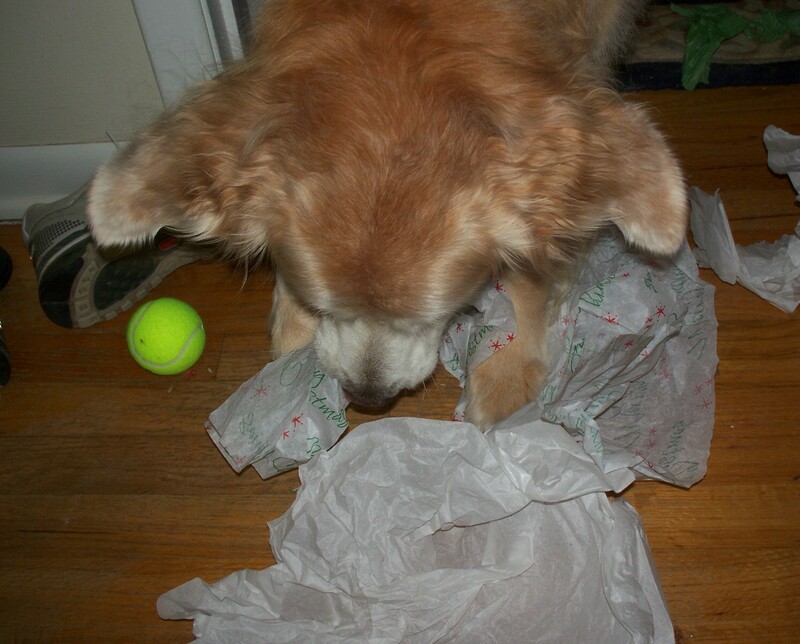 The first bag was Halloween decorations. The second bag was stuffed animals. 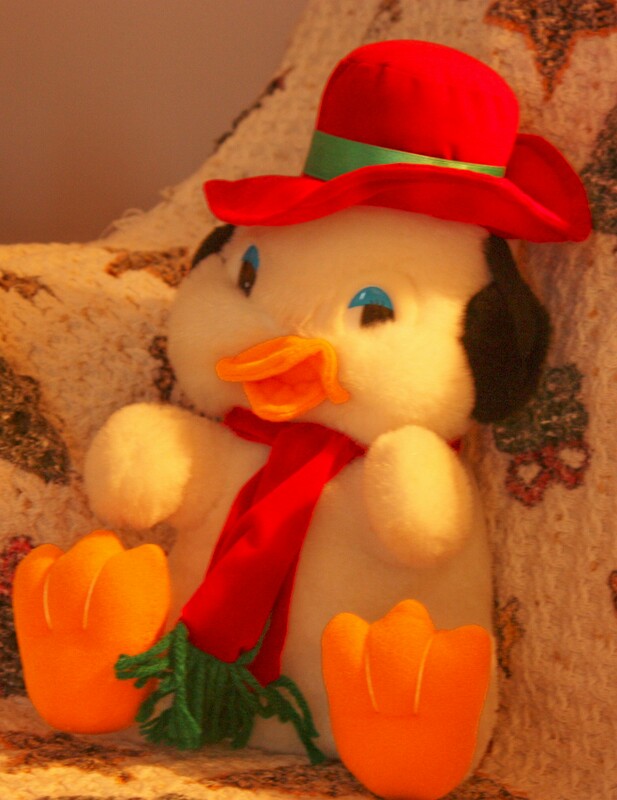 I pulled out one of the animals and it was a Christmas duck Joe bought when we were first married. He thought it was cute and he knew I was a sucker for stuffed animals. Pressing either Elvis’ hand or his hat resulted in him quacking We Wish You A Merry Christmas followed by Jingle Bells and ending with Santa Claus Is Coming To Town. Both Joe and I enjoyed Elvis’ concerts until he started serenading us in the middle of the night. Elvis has a short in him that causes him to start singing whenever he feels like it. At first we thought he would settle down but Elvis kept up the middle of the night concerts. Joe then started taking out one battery before bed and we would sleep peacefully through the night. When we moved from our apartment to our house, Elvis got packed away and forgotten about until last Wednesday. I was tickled pink to find him and located 2 double A batteries. Elvis started singing again once I pressed his left hand. All of a sudden it was as if I was injected with the spirit of the Tazmanian Devil. I tore through this house decorating for Christmas. During the next 5 hours I ran up and down the steps about 20 times bringing various decorations up from the basement. Then I climbed up and down the step stool about 20 times making sure everything was just right as I decorated the top of the corner cupboard. Ideas for what I could do kept flashing in and out of my head faster than the speed of these twinkling lights. It has been 10 years since I decorated this much. Even before Joe’s passing our philosophy was “Why bother decorating? No one is going to come see us.” So the events of last Wednesday took me completely by surprise. 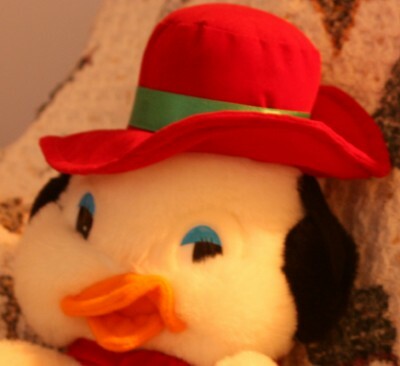 My house is not completely decorated but there are more Christmas decorations out than normal and all because of Elvis the Christmas duck. He is sitting in the living room chair which is decorated with a throw with angels, stars, harps and reindeer my sister sent Joe and me about 18 years ago. Elvis sleeps during the night now but he randomly quacks during the day. Thank you God, Jesus, Holy Spirit and Elvis for injecting me with the energy of Taz and bringing some of the spirit of Christmas back into this house. Stay tuned as there will be more posts about what I did to decorate this year as well as thoughts on thriving through the holidays and more updates about the Faithful Finish Lines program. P.S. – Your eyes are not deceiving you, it is snowing on JoyReturns. Wordpress activates the snow machine every year for about one month. I LOVE this type of snow. Enjoy! This is another recipe from my friend Sharon’s vast recipe collection. I will be taking this to the store today and making it. Will post an update as soon as I am done. Recipes don’t get much easier than this one. add 1/2 cup oil and two eggs to one box of cake mix. Add chips, toffee pieces and if desired, nuts. Drop by teaspoonfuls on a cookie sheet. Bake at 350 degrees for 10 – 12 minutes.